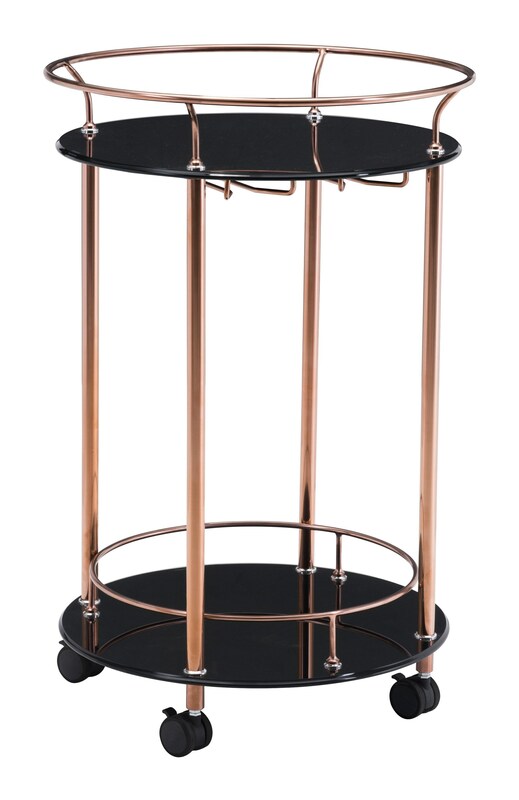 This serving cart features a bronze and black chrome finish with a metal construction for a contemporary design. The cart includes two shelves, a wine glass holder, and wheels on the bottom for mobility. It's a great piece for serving drinks at a party! The Plato Serving Cart by Zuo at Red Knot in the Oahu, Honolulu, Kapolei, Pearlridge, Salt Lake, Hawaii area. Product availability may vary. Contact us for the most current availability on this product.